We love seeing quirky cameras made from inventive materials here at Inhabitat – in the past we’ve showcased everything from Lego TLR cameras to Leica-style paper pinhole cameras. 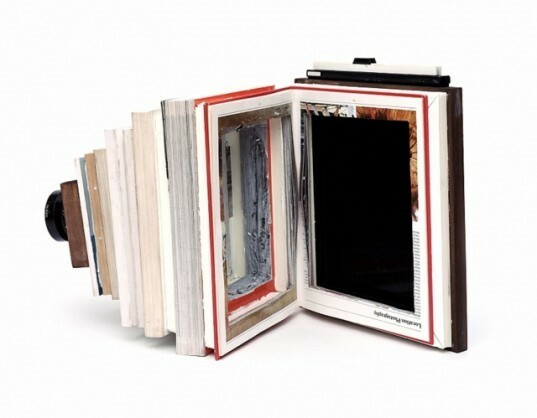 The latest kit to catch our eye is this incredible camera made from old photography books! Crafted from a stack of hollowed out tomes, this clever camera is the latest collaboration from Swiss artists Taiyo Onorato and Nico Krebs (Tonk) . Tonk‘s mini library is the latest in a series of reinvented cameras. In the past the duo has used a variety of unusual materials like turtle shells and rocks to create their own handmade designs. With any luck, the wisdom from within the books will inspire aspiring photographers who snap away with this cool device. Old books on photography have become the main material to construct a new body for the traditional camera. Crafted from a stack of hollowed out photography books, this biophile camera is the latest brilliant collaboration from Swiss artists Taiyo Onorato and Nico Krebs. 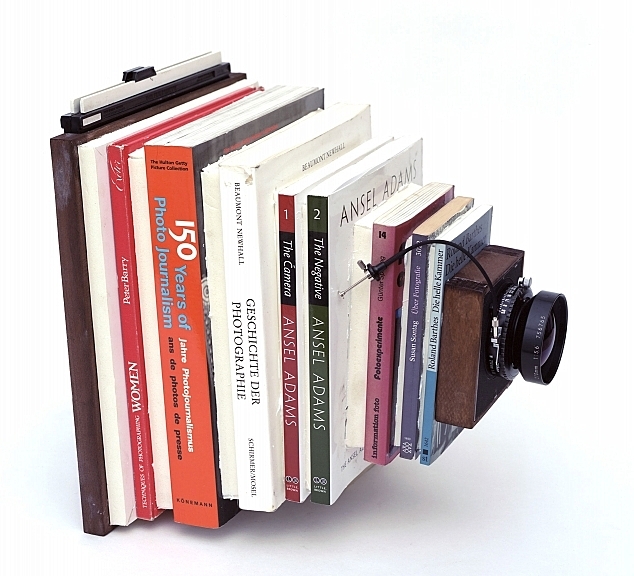 The book camera is the latest in a series of cameras constructed by the pair. Taking the concept of a camera and the expression of a camera 'body', the artists have been experimenting with own interpretations. Previously they have used unusual materials like turtle shells and rocks to create their own handmade designs.